Forests form one of the world’s most important renewable resources. But due to human interventions in the natural forests, the number of trees per unit area as well as canopy closures is reducing day by day, which in turn affects the ecological status of the forests. And climate change is impacting food production significantly, as the Therefore, accurate and updated information on forest resources is of paramount importance. In a country like India, whose forests are rich and diverse, collections and compilation of information on all these parameters is a daunting task. 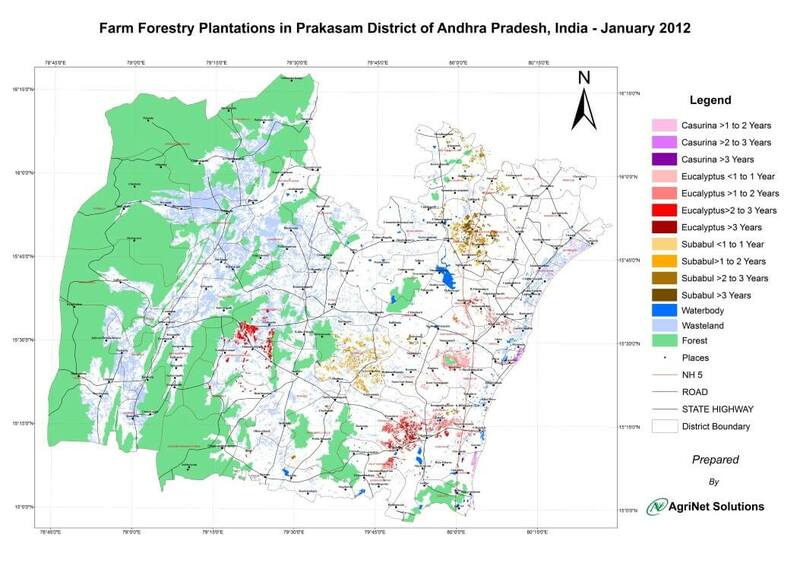 Agrinet Solutions carried out a study to estimate the incremental plantation cover over a period of eight years (1995 to 2003), in parts of Orissa, Chhattisgarh and Andhra Pradesh by using digital satellite data. Agrinet Solutions has executed several studies to assess age wise farm forestry plantations like Eucalyptus, Bamboo, Casurina and Subabul in India.